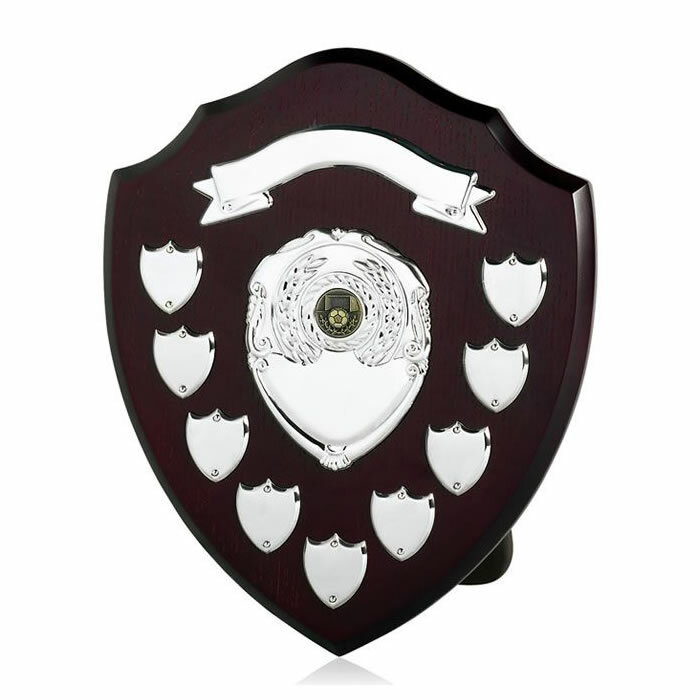 Classic dark wood awards shield, ideal for schools awards, can be free-standing (strut included) or hung on a wall. These 12in tall solid wood shields have a top scroll, centre scroll and nine side shields for perpetual awards. The central scroll can take a 1in centre for a specific sport or achievement. They are offered here with low, fixed-cost text engraving and free engraving of logos or crests.